The 18th annual Wine Cup® raised over $58,000 for the Washington Wine Industry Foundation’s programs, which craft sustainable solutions to industry challenges. Nearly 150 golfers enjoyed shotgun Florida scramble play Monday at Suncadia Resort’s Prospector’s Golf Course in Cle Elum, participating in contests and competitions with awards that included stay and play packages at Suncadia Resort; a 5-day ocean cruise adventure; VIP tickets; golf lessons; and other golf and wine prizes. 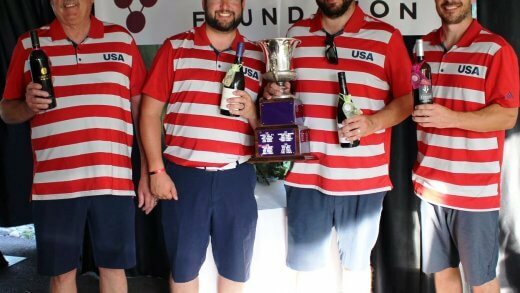 This year’s Wine Cup® attracted new team awards including a first and second place for three different brackets: Men’s, Women’s, and Co-Ed Mixed. 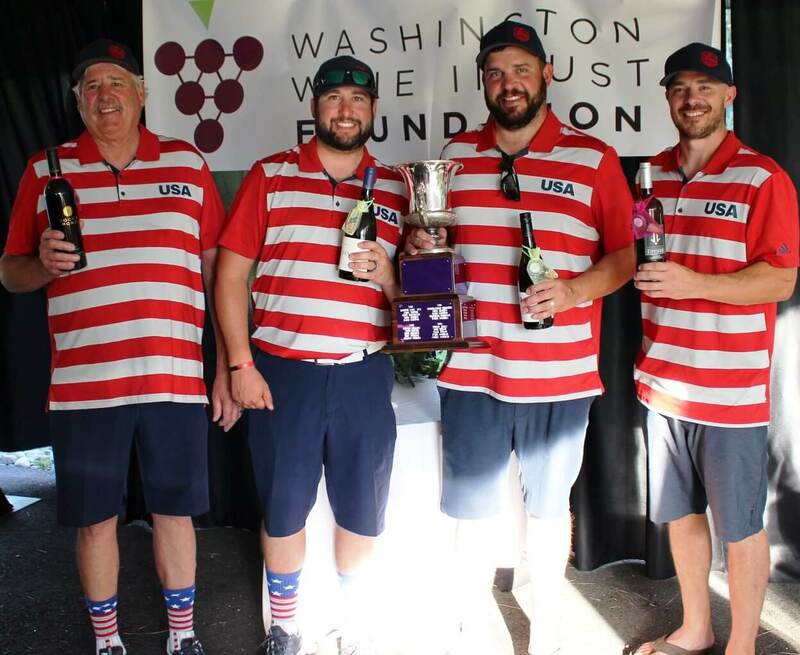 “Team America” was the overall champion and took home the coveted perpetual Wine Cup®. Contest winners were: Heidi Andrews (Women’s Longest Drive), Sean Tudor (Men’s Longest Drive), Natasha Mendonca (Women’s Closest to the Pin – 12’8”), Sean Tudor (Men’s Closest to the Pin – 1’10”), Caroline Jaffe (Women’s Longest Putt – 11’6”), Rob Newsom (Men’s Longest Putt – 36’), and Dave Hill (Putting Contest). The tournament was made possible by sponsors Wilbur-Ellis, Bleyhl Co-Op, Pape Material Handling, Inland Desert Nursery, Washington Trust Bank, Stoel Rives LLP, Basin Pacific Insurance & Benefits, CliftonLarsonAllen, Coventry Vale Winery, Den Hoed, Four Feathers, Gamache Ag Services, J&S Crushing, Mountain States Construction Company, AMA Waterways/AAA, Champoux Vineyards, Kiona Vineyards, Northwest Farm Credit Services, Northwest Wine Services, Oregon Mutual + Conover Insurance, Rabo AgriFinance, Saddle Mountain Vineyards, StaVin, Ste. Michelle Wine Estates, Vintners Logistics, Country Financial – Wenatchee, Nichino America, and Brian Carter Cellars.